The Strada handleless kitchen door range has a cutting edge design which meets both aesthetic and practical demands. This version of the Strada kitchen is matt and offers a silky and durable finish which is blemish free. 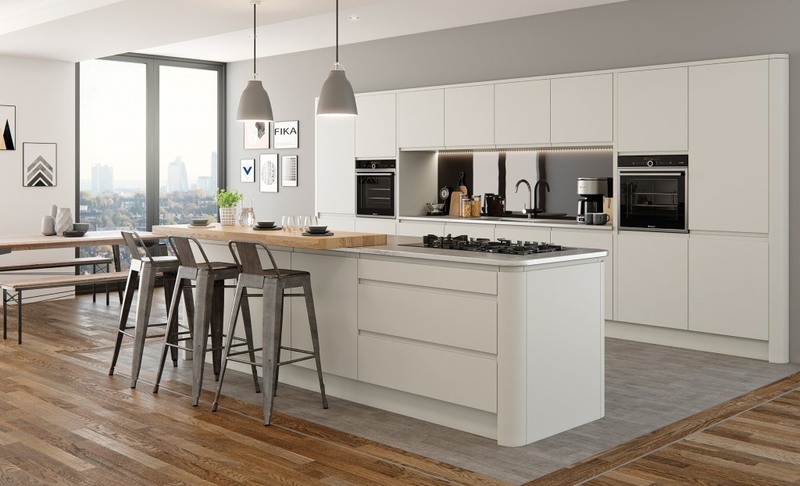 The matt comes in 27, 7 are availalbe from stock, carefully selected colours which can be used in combinations to achieve your perfect looking kitchen.